If it seems to you that Modern architecture is having a moment, you’re not imagining things. In certain parts of town — particularly in those places covered by San Diego Uptown News — just about every new or dubiously improved building, from a Downtown skyscraper to a Talmadge ranch house, is Modern with a capital M. Or at least aspires to be. The idea of the Modern house still holds a fascination for the newest generation of homebuyers, the millennials, even if they aren’t sure of the difference between the Frank Lloyd Wright’s organic architecture and Joseph Eichler’s post and beam tract house. To get a sense of the difference, and a full appreciation of the popularity of Modern architecture today, you need look no further than the Modern Architecture + Design Society’s fifth annual San Diego Modern Home Tour on Saturday, Oct. 14. Three of the six houses on the local tour are located in Uptown or Mid-Cities. A 1909 Normal Heights home on Hawley Boulevard recently transformed into a fully customized Modern home by Christopher Lee Homes and Duende Design + Construction. 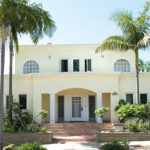 A renovated 1940s Mission Hills home on Titus Street recently renovated into a Modern oasis. A penthouse in the Hangar 5 building on Front Street in Bankers Hill, designed by Nakhshab Development and Design. A penthouse in the Mitra Lofts in Downtown, designed by Nakhshab Development and Design. A Del Mar Modern beach house designed by South Park resident Laurie Fisher of LC Fisher Architect. 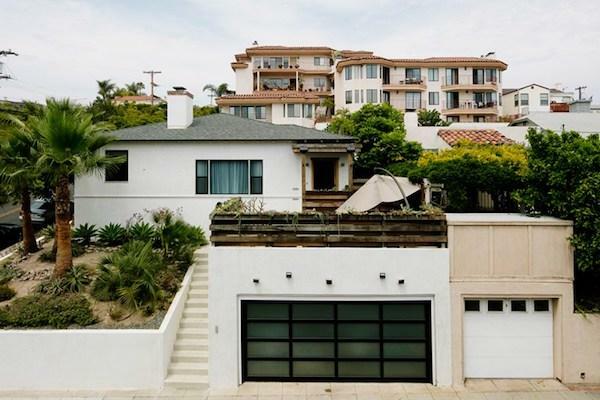 A classic midcentury beach home in Del Mar designed by renowned architect Sim Bruce Richards. 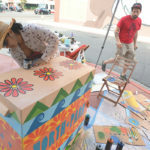 More than 13,000 people are expected to participate in the society’s 11-city tour, which has included San Diego for the past four years. 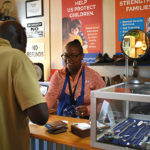 “San Diego is one of our core cities,” said Ken Shallcross, a partner in the for-profit company based in Austin, Texas that partners with nonprofits in the cities that are part of the tour. Houses on the local tour range from a remodeled 1920s bungalow in Normal Heights to a recently completed condo in a Downtown high-rise. 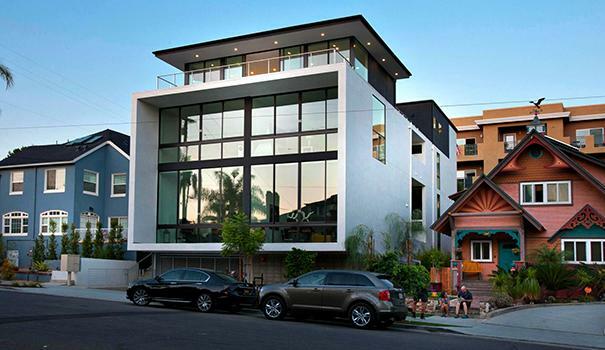 There’s a Minimal Traditional in Mission Hills that has been given the Modern treatment and an infill project in Bankers Hill that boldly asks the question, “Can a modern-day Modern structure live cheek and jowl with a 100-year-old that self-identifies as a Victorian Painted Lady? The answer may well be in the eye of the beholder. If you’re not into Modern, you may not be won over by this tour. But then again, you just might, if you’d like to believe the Craftsman spirit can live on in the organic Modern architecture of Frank Lloyd Wright and his acolytes. One of Wright’s pupils, Sim Bruce Richards, designed a beach house in 1980 in Del Mar that is included on the tour and is up for sale. “The owner passed away a few years ago,” Shallcross said. “He is the only person who has ever lived there. He was the guy it was built for. This is the first time anyone from the general public has been inside. “There’s tons of glass and tons of wood. When you step inside, the fact that this is basically the beginning of the open-floor concept really hits you. This 1980 house is kind of the grandfather of what you’ll see on the rest of the tour. I think that means you should go. Modern — as a style and as a concept — is hardly new. Back in the day, Craftsman was modern. When people bought a new Craftsman or a Prairie-style house, they said they were buying a modern house. 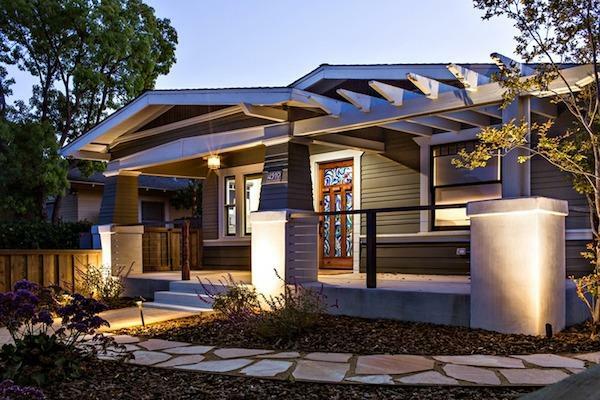 Many of the adjectives we apply to today’s “Modern” house were applied to the Craftsman bungalow — light, bright, open, informal. The Craftsman was “built for how people live today.” Back when today was 1909. The Prairie was developed at the turn of the 20th century in the Midwest by Frank Lloyd Wright and his contemporaries. Wright influenced many architects and designers, both by reputation and by force of personality. His Taliesin Fellowship, located in Spring Green, Wisconsin and Scottsdale, Arizona, opened in 1932. Many Taliesin students went on to architectural careers, including World War II veterans, who were able to study there under the G.I. Bill. Most of the concepts we now think of as “Modern” — including the very concept of the “open concept” — were developed by Wright and his contemporaries. Advances in engineering, construction technology and materials made it possible to eliminate most interior walls in a house, opening up a new world of possibilities — both for the designers and for their clients. With adequate support, the living room and the dining room could be blended into one inter-connected space, with only an “implied separation” between them: columns, half-walls, bookcases or steps. In this new version of the house, music rooms, libraries, dens and offices were open to the formal rooms of the house. Only the kitchen and the service porch were closed off, a remnant of the old days on the farm when unseemly things took place there, like dirty dishes left stacked in the sink while the cow was getting milked. The Craftsman and Prairie style faded from popularity during the 1920s, the victim of a sort of national romance with the world of make-believe, influenced by the movies, city life and the delusion that you could convince the authorities that you had quit drinking when, in fact, you were drinking more than ever. But what really put a stop to these early Modern houses was the Great Depression, and more specifically, government regulation of the banking and building industries. The Federal Housing Administration guidelines for builders eliminated all craftsmanship and detail from American residential architecture. A house with a built-in china cabinet and bookcase could never be built in the 1930s, because it could never get approved for a loan, no matter if the homebuyer wanted it or could afford it. A new type of house emerged, the Minimal Traditional. But the Modern impulse remained alive, bubbling below the surface. 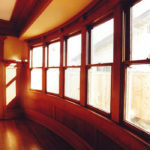 When the residential building industry started up anew following World War II, it was with a new mandate — keep it simple — and a new set of building blocks — drywall instead of plaster, aluminum sliding glass doors instead of wooden French doors, and tongue-and-groove cedar siding instead of redwood shingles. The people who designed those houses had changed as well. The U.S. government trained and employed hundreds of thousands of architects during the war, teaching them to build quickly and cheaply and by the book. Through the G.I. Bill, the government produced a new crop of homebuyers as well, young men and women who had learned the value of teamwork and getting along to get along. In the military, they’d learned to follow the rules, buckle down and get ‘er done. In college, they’d learned that technology was the future and making things by hand was the past. These modern men and women moved in mass from the bungalow neighborhoods where they’d grown up to the mass-produced depersonalized and thoroughly modern suburbs, built to a plan devised by the FHA. The Mid Century Modern house, with its flowing floor plan and floor-to-ceiling glass walls was made possible by two innovations: The post and beam construction technique, which made a house without interior walls possible, and the television, which provided an impetus for tearing down those interior walls. Television wasn’t like the home entertainment of old. You couldn’t put it down like a book, or pick up the needle and stop it from playing like a record player. You had to be there, present, in line of sight and within earshot. Which is tough to do when you’re behind a closed door in the kitchen, wrestling with a pot roast. In the workplace, women were beginning to demand a seat at the table — at home, they just wanted to see the television. Although they were built by the thousands in Southern California, the post-and-beam Mid Century Modern house never really caught on, not like the California Ranch of the 1950s or the New Traditional Mediterranean of the 1980s, which borrowed its open floor plan and sliding back door. So check out the six excellent examples of the Modern architectural style on the San Diego Modern Home Tour, which will be on Saturday, Oct. 14, from 11 a.m. to 5 p.m. For tickets, visit bit.ly/2yVwFNO.